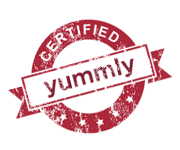 My blogger friend, Patty has a gorgeous blog called “Patty’s Food.” Not only is she a wonderful cook but a talented photographer as well. I’ve often told her that when I publish my cookbook I want her to be my photographer! 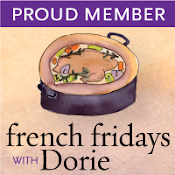 Although Patty and I have been cooking together, virtually, for three years through the online group, French Fridays With Dorie, which is a group of people working our way through Dorie Greenspan’s book, Around My French Table, we have never met. 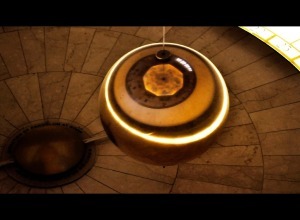 That’s about to change when we arrive in Seattle, Washington, for the International Food Bloggers Conference next week! 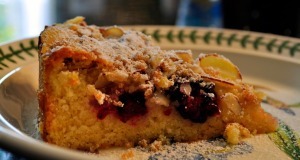 When I saw this yummy cake on her blog, I had a carton of Blackberries in the fridge and I just knew I had to try it. The only change I made to her recipe was to add a splash of Almond Extract to the cake batter. Although this would make an easy and elegant dessert for company, it is just as well-suited to serve as a coffee cake on the weekends. You won’t believe how quickly it comes together and how wonderful the results are! 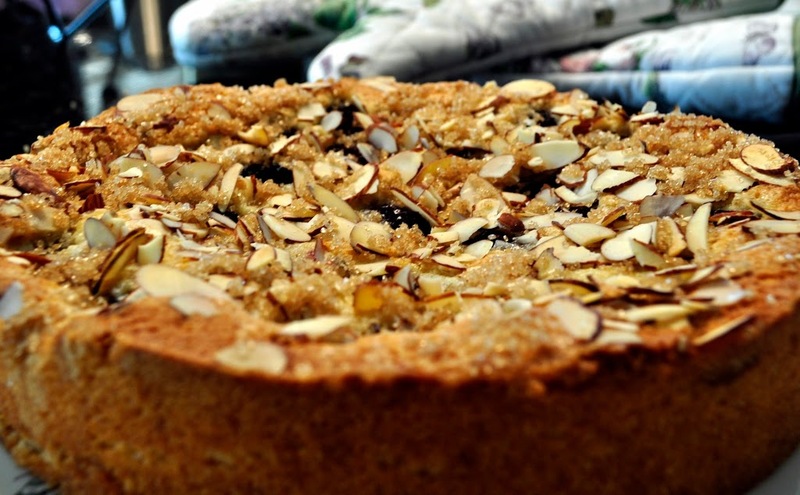 The moist cake forms the perfect counterpoint to the berries and almonds. I remember seeing this cake at Patty’s and drooling over it! Love that almond streusel topping! I have this cake pinned for future use too! Looks fantastic Karen, and I’m so jealous of you all meeting next week..!!!!! I think I already left a similar comment, btw jaja! Very nice, Susan! Love cakes like this…perfect to enjoy with my morning tea! Seattle will be fun! What a beautiful cake, I will definitely be adding this to my list to make 🙂 Enjoy the bloggers conference! Looking forward to meeting both you and Patty in Seattle. That Blackberry Almond Buttermilk Cake looks awesome.